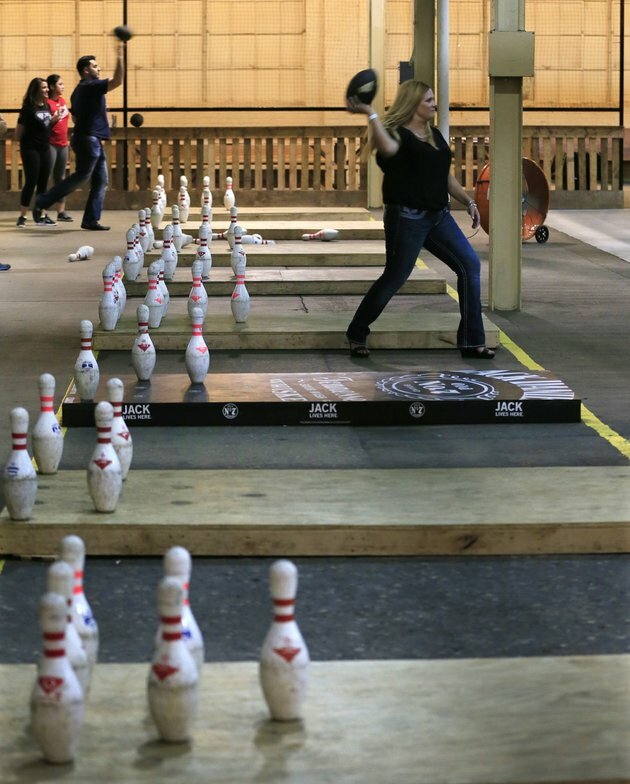 Is Fowling the next greatest sport ever? 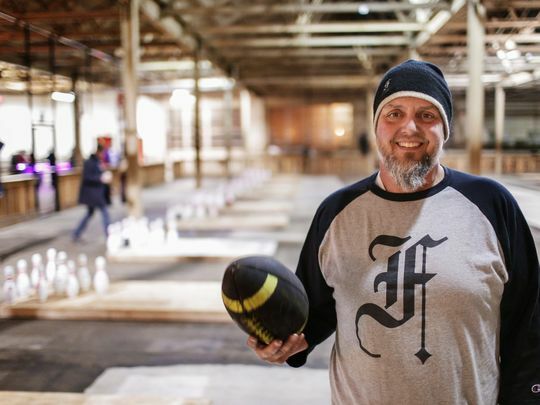 BY KEVIN SAWYER – Is the sport of Fowling the next greatest sport ever? It combines two of America’s greatest loves, bowling and football, and presents it a new and exciting way that has been taking the country by the proverbial storm. Invented in Michigan by an entrepreneur named Chris Hutt, 46, he has built his Fowling Warehouse that is 34,000 square feet and contains 20 lanes. The rules are pretty simple. The ten pins are set up in the standard bowling way and teams stand 48 feet away from them. 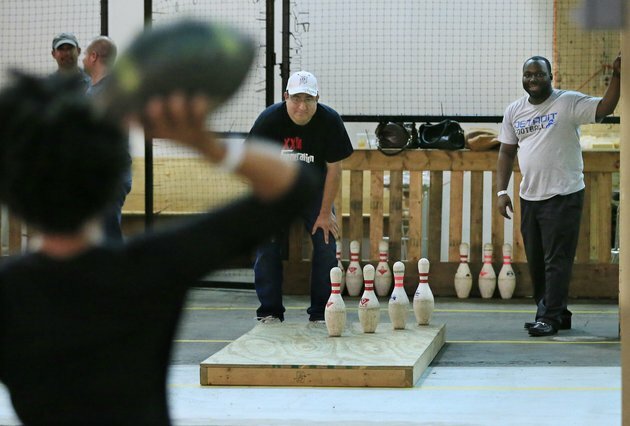 They use a football to try and knock down all of the opponents ten pins. 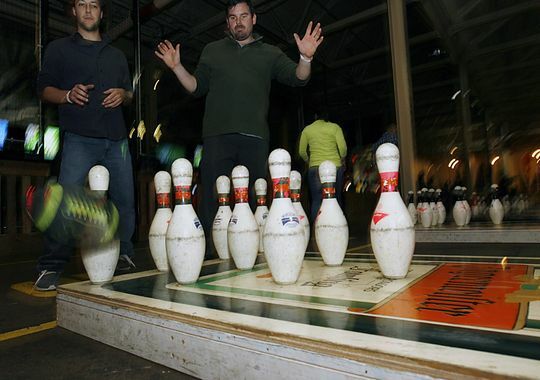 The first team to knock down all ten opponent’s pins, wins. Hutt says that while the game is simple enough to understand, it isn’t all that easy to play. In fact, he says, out of over 100,000 games that have been played at his warehouse, there has only been 29 strikes recorded. Hutt said he came out up the idea while brainstorming with some friends while sitting and tailgating in the parking lot of the Indianapolis 500. If you want to end a match quickly, you can throw what is known as a “Bonk”. 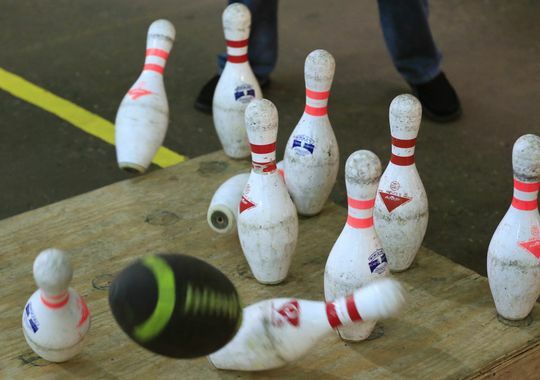 A Bonk happens when the middle pin, the number 5 pin in bowling terms, is knocked down. You can’t knock down any other pins along with it. It must be a one shot that only takes down the number 5 pin. Hutt says they get about 60 Bonks a month. When that happens, the player gets to set off a tugboat fog horn that is ear crushing but lets everyone know that you are the coolest Fowler of the night. Some awesome cash saving strategies to pay off student debt in less timeWhy are the white supremacists headed for the Republican convention?